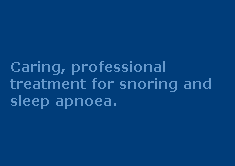 Sleep is a vital part of our daily lives. It helps our body heal and restores itself. But if you wake up having sore muscles and aches on your body, it’s time to take action. Having back pains, shoulder pains, and neck pains are some of the most common muscle problems that people face when they wake up. These muscle pain issues can cause a huge amount of discomfort and stress for people of every age. And not treating it can lead to bigger problems like depression, anxiety, and even sleep disorders. The good news is that muscle pain can be easily treated and prevented with over-the-counter medications. But don’t just rely on a quick fix. What matters most is to discover the main cause of your pain. Experiencing muscle pain when you wake up can be the cause of various things. It can be because of your sleeping position, your mattress, your personal health, or your sleep hygiene. If you wake up having a sore back in the morning, your mattress may be the problem. If you know for sure that heavy lifting or falling is not the cause of it, then it’s time to finally invest in a new mattress. Matter of fact, people who use a medium-firm mattress actually has less back pain compared to those who don't. Mattresses that are also 10 years older have been proven to be one of the main cause of back pain while you sleep. Another factor that can attribute to your back pain is the way you get out of your bed. A wrong method of getting out of your bed is by sitting up and twisting your back. The best possible way to get out of your bed is to roll on your side and get up using your legs. If you’re already experiencing back pain for more than a week, it’s time to consult your doctor. Sleeping on your stomach can cause neck pain. By resting on your belly, your placing your spine in an unnatural position. Which can also lead to headaches and lower back pain. To prevent this from happening, sleeping on your side or your back is a great option to consider. If you’re sleeping on your side, try placing a pillow between your knees. You can also try adjusting the height of your pillow and make sure that your spine is aligned. If you’re sleeping on your back, placing a pillow between and underneath your knees can help. Suffering from neck pain while sleeping can also be caused by your pillow. Try using a feather pillow or a memory foam pillow. These pillows can easily adapt to the shape of your neck which can also help you align your spine properly. Your shoulder pain can be caused by sleeping on the same side every night. Other factors such as sleeping with your arm underneath a pillow or having your elbow above your head can also lead to shoulder pain. To help you have a good rest at night, try to sleep on your back or keep your arm below your shoulder. Implement a healthy well-balanced diet. Check your sleeping posture every night before you fall asleep. Take a hot shower and dress warmly before going to bed. Sleeping is a time to relax and restore your body. If these suggestions didn't work and your muscle pains are getting out of hand. Don’t be afraid to consult your doctor for help.